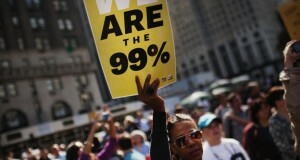 With the rise of the Occupy movement, opposition to the existing political and economic order has gone mainstream. It’s hard to imagine that the bandana-clad woman on the cover of Time magazine – representing “The Protestor,” Time's “Person of the Year” – has many nice things to say about capitalism, and the ubiquity of the Guy Fawkes mask – popularized by “V for Vendetta” – further underscores how widespread the idea of revolution has become. Is US imperialism and/or Israel preparing a military attack on Iran? How would the Islamist dictatorship in Tehran respond? These questions came into focus again over the holidays following new sanctions announced by the United States and an Iranian navy exercise. The issue of racism has reared its ugly head as it recently made news headlines. The conviction of Stephen Lawrence’s killers gave us a sinister reminder of the worst consequences of racism. Just as with the brutal murder of Toyosi Shittabey in 2010, we must use these incidents as a wake-up call to stamp out the possibility of such horrific tragedies happening. Last week thousands of parents, teachers and pupils staged a passionate demonstration at the Department of Education in Dublin. They were from schools benefiting from the programme known as ‘Delivering Equality of Opportunity in Schools’ or DEIS which was designed to counter the many ill effects on children living in areas of high unemployment and poverty. Across the public and private sectors the scandal of employers’ attacks on pensions has become a touchstone issue for workers and unions.